root cause of genetic illnesses. Extreme athlete Kim Goodsell did - including genomic sequencing and writing her findings in white paper - and changed the course of the debilitating diseases that were impacting her life. When patients get solutions to their own genetic puzzle, it’s always professional geneticists who do the solving. Take James Lupski. He has been studying Charcot–Marie–Tooth for decades, and discovered the first gene linked to the condition. He also has it himself. In 2010 he sequenced his own genome and discovered a previously unidentified mutation responsible for the disease.... Kim, however, was an amateur. And to her, sequencing was not a Hail Mary pass that would – maybe, somehow – offer her answers; it was a way of confirming a carefully researched hypothesis. Goodsell has two genetic diseases. Earlier in her life, she'd been diagnosed with arrhythmogenic right ventricular cardiomyopathy (ARCV). ARCV re-composes the heart's muscle, morphing it into fat and scar tissue. At age 44, she was diagnosed with Charcot-Marie-Tooth. The disorder is caused by a communications glitch between the extremities and the spinal cord. When she sought treatment for symptoms related to Charcot-Marie-Tooth, Goodsell's doctor's ignored her previously diagnosed genetic disorder and treated the new one as a coincidental one-off. Goodsell, was unconvinced. It wasn’t the omission per se that bothered her. It was the implicit suggestion that her two life-long diseases ... were unrelated. That, in the genetic lottery, she was a double-loser. That lightning must have struck her twice....Surely not, she thought. Surely there must be a connection. Her own research and doggedness led her to better treatments and others to further explore the connection between Charcote-Marie-Tooth and ARCV. 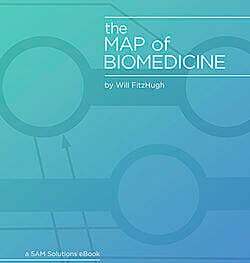 Most of us will never sequence our own genome, and the efficacy of self-diagnosis is debatable. Kim Goodsell's story is interesting, though. You can read the whole thing at Mosaic. More 5AM blog posts on genomics and genetic diseases here and here. Have you got a research-related mystery on your hands? Contact us to learn if software can help you break through. 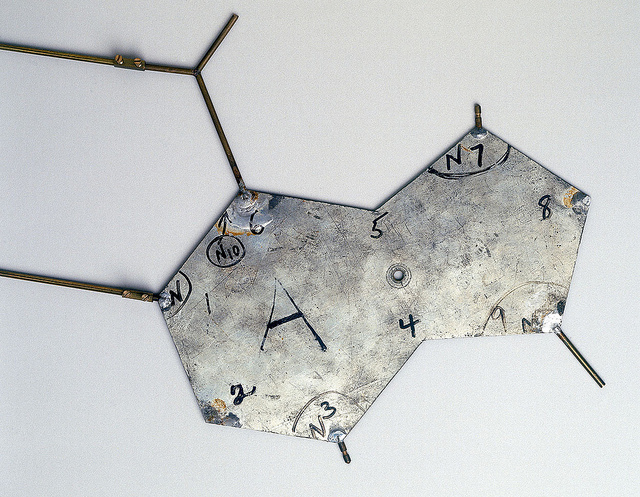 Image Template from Crick and Watson’s DNA molecular model, 1953. Science Museum London via Flickr. Under a Creative Commons License.